Honey Infused Hair Oil Luxe Travel Size 1.7 fl.oz. Gisou Honey Infused Hair Oil has various applications. Use daily as a pre-styler and finisher, add a few drops to your hair mask, or leave in as an overnight treatment. Honey is the key ingredient and a natural blend of minerals, vitamins, amino acids and antioxidants. It is also known as nature’s humectant, due to its moisture-retaining properties. Resulting in deeply conditioned, stronger hair. This Luxe Travel Size version comes in a 1.7 fl.oz bottle, perfect to carry everywhere. Key Ingredients: Mirsalehi Honey, Almond Oil, Coconut Oil. Does not contain sulfates, parabens. Cruelty-free. Honey Infused Hair Oil 3.4 fl.oz. 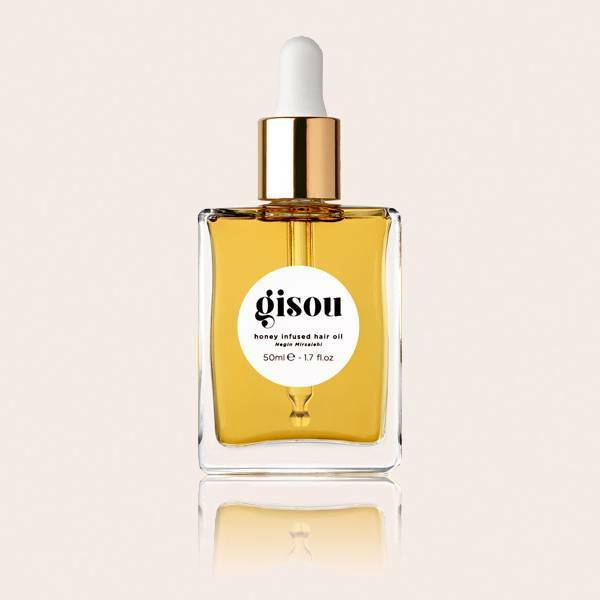 Gisou Honey Infused Hair Oil can be used prior to your styling routine for a nourishing effect and healthy shine. Antioxidants prevent cell damage, while amino acids stimulate hair growth, resulting in a voluminous and conditioned mane from root to tip. Simply apply 1 to 2 drops (depending on the thickness and length of your hair) at the start of your styling routine. Important: make sure the oil has been absorbed by the hair before styling. Never use heated styling tools on hair that feels wet. Never skip the finishing touch. Honey attracts and retains moisture for stronger, healthier hair. 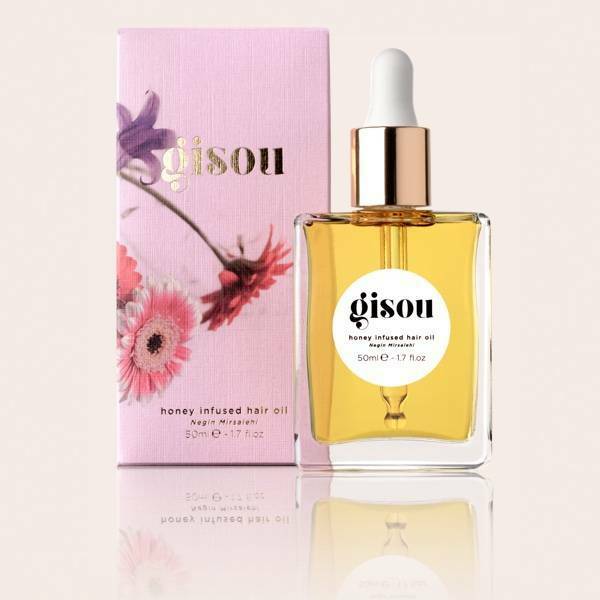 Dispense 1 or 2 drops of Gisou Honey Infused Hair Oil in the palm of your hand, warm it up by rubbing between your fingers then gently run through dry hair. Use as part of your daily styling routine or as a quick touch-up throughout the day to reduce flyaways and achieve instant shine. 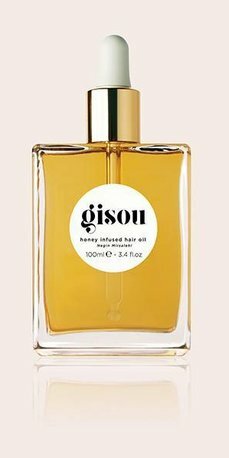 Gisou Honey Infused Hair Oil can be added to your favorite hair mask to reach the core of your hair for deeper nourishment. After shampooing, take the same amount of hair mask as you would normally use in the palm of your hand. Dispense one drop (or two drops if your hair is thick) to your mask and mix together. Apply evenly from root to tip. Comb through for a smoother application and leave in for a few minutes. After rinsing, your hair will feel softer and rejuvenated. Use 1-2 times a week for reconstructive results. 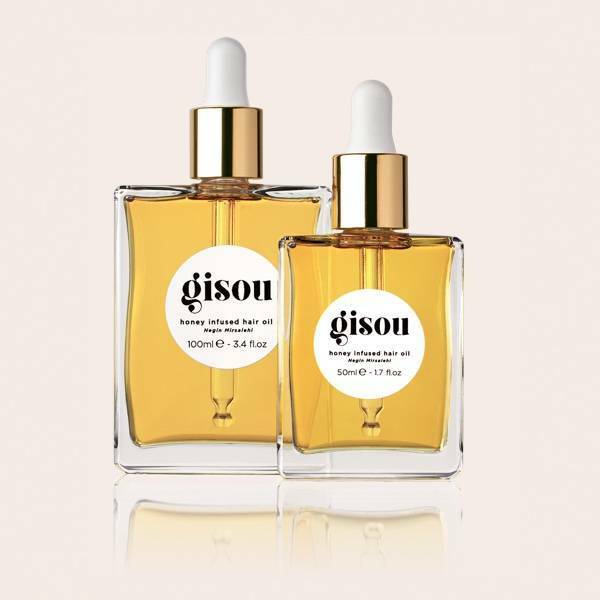 For an intensive overnight treatment, coat your hair with Gisou Honey Infused Hair Oil. Apply two full droppers to dry hair (if you have fine hair, you might want to reduce this amount) and pay extra attention to the tips. Wrap with a towel and allow the active ingredients to work their way to the core of your hair, repairing and rebuilding every strand while you’re asleep. In the morning, rinse and lightly shampoo to start your day with luminous locks. Weekly treatment will result in voluminous, visibly stronger hair.